To train medical students through a primary health care approach with special emphasis on health promotion, disease prevention, early detection, diagnosis and management of diseases including rehabilitation and social integration of transport workers, their families and rural population. We have applied for the annual intake of MBBS seats from 60 to 100 and we are working at present to achieve this target. Hopefully we will get permission for the increase of seats to 100 for the academic year 2017-18. We are planning to start P.G. 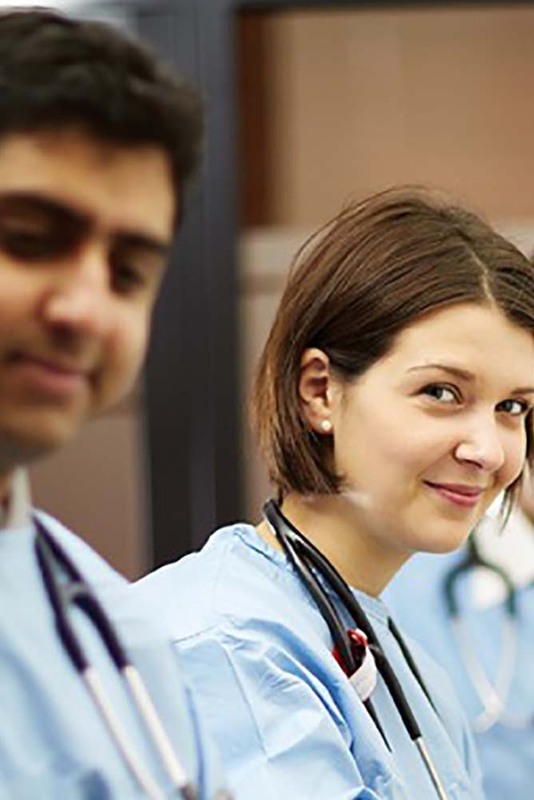 Courses in the various disciplines of Non-Clinical and Clinical sides. We are going to start Telemedicine by using National Knowledge Network facilities provided by the Central Government. We are also having plan to start Super Speciality courses like Cardiology, Neurology, etc. in the future. We are doing many number of research activities in various disciplines and the ongoing and future projects are enclosed. We are conducting free medical camps nearby areas and providing free consultation and free medicines to the needy patients (Camps detail enclosed). We expand all the medical facilities to the poor and needy people not only in and around Perundurai but also nearby districts Tirupur, Coimbatore, Salem, Namakkal, Karur, etc. We are in the process of NABH accreditation and very soon we will get the NABH accreditation. We have applied for implementing Dr.Muthulakshmi Reddy Scheme in our Hospital. It is under process in the Government side. Very soon the Scheme will be implemented. Till then we are providing free treatment, free deliveries and free caesarian deliveries. CMCHIS Scheme and NHIS Through this schemes (statistics 1 year attached). In future we are going to expand this program to many outreaching hill areas Bargur near Anthiyur, Thalavadi near Sathiyamangalam. In collaboration with the Deputy Director Leprosy, Erode District, we are going to start Re-constructive Surgery Unit in our Hospital. It is going to cater the entire western Tamilnadu disabled leprosy patients. The Perundurai Ramalingam Tuberculosis Sanatorium is 80 years old which is attached to our Medical College. The Sanatorium is well known for treating the TB patients of Western Tamilnadu. We are going to start Multi Drug Resistant Treatment Unit for the benefit of TB patients. We have separate ward for AIDS patients and we are providing medical management as well as surgical management to the AIDS patients. We are giving treatment to the patients having communicable diseases like Dengue fever, Chickenkunia, Calera, Malaria, etc. We are planning to increase of Diploma in Nursing from 20 seats to 60 seats in the next academic year 2017-18. NOTE: LAST FRIDAY OF EVERY MOHTH, STUDENTS WILL HAVE COMMUNITY MEDICINE BLOCK POSTING CLASSES. Note: IV Semester Time Table will be followed from 1st March onwards. DEAN.